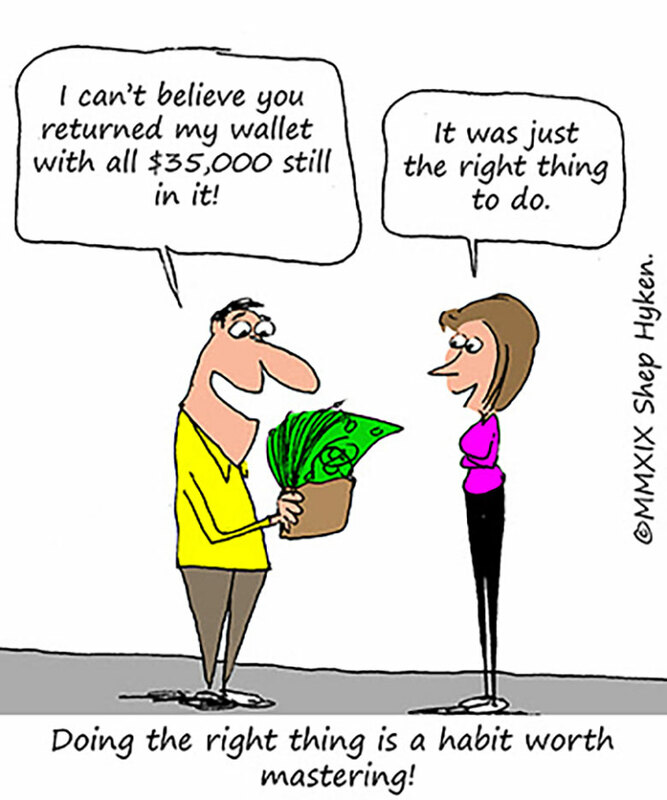 When it comes to taking care of customers, sometimes people go a little further than expected. When asked why, they often say, "It was the right thing to do." There's no incentive other than the desire to care for someone else. In a sense, that is what customer service is about. While we may be paid to do a job, sometimes doing something that is not required - and therefore not expected - is what the next level of a good customer service experience is all about. On a recent trip to Dubai, Mr. Rao took a taxi to his client's office. About an hour later, he realized he left his phone in the taxi. He didn't have the driver's information, so he borrowed a colleague's phone to call his lost phone and hoped the driver would answer. Sure enough, he did. Mr. Rao explained what happened and an hour later the driver made his way back to the hotel where he had picked up Mr. Rao earlier that day. The driver dropped off the phone at the front desk. He didn't ask for money even though he had to take time out of his day to return to the hotel. He didn't leave a phone number or any other contact information. He just wanted to take care of his customer. I often write about how sometimes problems or complaints aren't our fault. That doesn't mean we can't step up and take care of our customers. When Mr. Rao left his phone in the taxi, it wasn't like he could complain to someone about it. No, it was his fault. He could only hope that his phone would be returned. While the driver could have demanded to be paid money to take the phone back to the hotel, he didn't. Yet he would have every right to do so. After all, it wasn't his fault the customer left his phone in the car. And most reasonable people would expect to pay the driver something for his effort. But not this time. The taxi driver didn't ask for money. He even chose to remain anonymous. He did it simply because, in his mind, it was the right thing to do. That's what customer-focused people do. They do the "right thing." They do it because helping a customer—or even a colleague at work—is what they like to do. It makes them feel good. It's a mindset, and practicing it turns it into a habit. Doing the right thing makes you feel good. Try it. Make it a habit. It's a habit worth mastering.